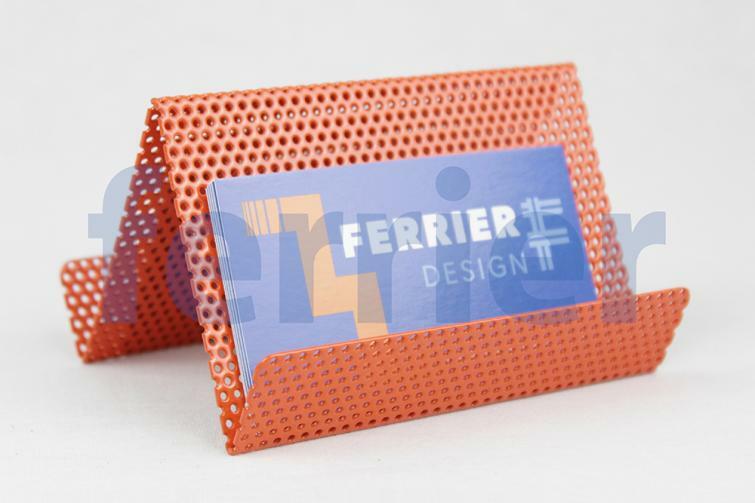 Ferrier Design perforated metal sheared, formed and powder coated to create a business card holder. A variety of finishes available. Size can be customized to accomodate tablets, cell phones, cook books, etc. Ferrier Wire specializes in the supply of woven and welded wire mesh, perforated metal and expanded metal. Aluminum, brass, bronze, copper, galvanized, mild steel and stainless steel (various grades) are some of the metals we offer.